The Book Seer What Should I Read Next? Amazon.com A good source of book reviews. Barnes and Noble. Retailer of books. Offers book reviews. Book Review Index Reviews of Star Trek, Star Wars, Tom Clancy, John Grisham, and Michael Crichton books. BookBytes - by Marylaine Block. Includes lists of books too good to put down and advice on how to obtain out-of-print books. Booklist Magazine - selection of reviews from Booklist, the selection tool for librarians. Reviews of books for adults and children. BookNews - reviews of the latest books in science, technology, and medicine. BookPage - monthly book review with a mix of author interviews and reviews focusing on the month's noteworthy new releases. Carol Hurst's Children's Literature Site: an e-zine. Chicago Sun-Times Books - reviews by book editor and author Henry Kisor. 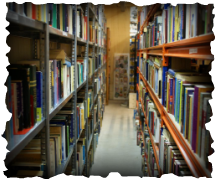 Choice: Current Reviews for Academic Libraries - reviews significant current books and electronic media of interest to persons in higher education. Curled up with a Good Book - reviews, recommendations and ratings of mainstream/literary fiction from a bookseller's private library. Lazy Literate, The - Steve Berry, a.k.a The Lazy Literate, reviews audiobooks weekly for The Columbus (Ohio) Dispatch. Site includes an archive of past reviews. Midwest Book Review - in the form of library newsletters available as well as many other book resources. Read Ireland Book News - free weekly newsletter and a bookstore as well. Times Literary Supplement - weekly reviews of fiction, poetry, history, politics, philosophy, the arts and every other subject under the sun.